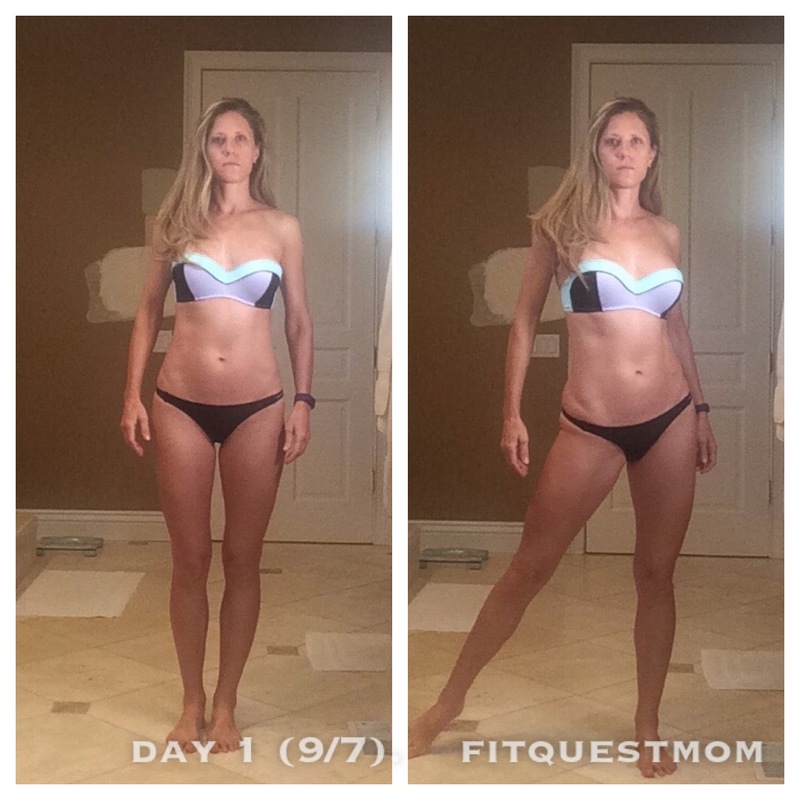 At the very top you will see my Week 6 Reverse Diet progress pictures (nice tan, huh?) as compared to Week 1 (directly below that set of pictures). Weight: 127.4 this morning (129.4 at my week 5 recap / 134.8lb at end of cut). Gosh darn-it, my weight is down. When I got back from Mexico I was 129.6 and then…I was back in the ER on Saturday for an IV and another slew of tests. The good news is that my Serum CK is now 68 and totally normal, so I am over the Rhabdo, but I now have a kidney infection and another infection (It’s a girl thing…awesome). I hate taking antibiotics and try to do everything I can to stay off of them, but I am sure glad they exist when I truly NEED them and this is one of those times. I definitely do not want to lose any more weight, which is why I have increased my calories at a faster rate than I usually do…again. I was able to workout at our resort gym 4 of the days when we were in Mexico. I took it REALLY easy and did about 30 minutes of walking at an incline and followed that by 30 minutes of light weights or band work. Nothing strenuous. I will not be working out until I am well. We had a great time in Cabo, Mexico. It was fun for my husband and I to go on vacation with just the two of us (though I LOVE going on vacation with our kiddos). He had some great rounds of golf and I was able to relax. I even managed to win a jump rope contest! I won a round of margaritas for our table, so that was fun. The man pictured with me won the push-up contest. You’ve gotta love the fact that the oldest woman (me) and the oldest man (him) won both competitions!!! The day before we left I went on a long walk on the beach and that was just what I needed. You can’t take the California out of the girl…the beach will always have a huge place in my heart. Now we are home and I am ready to let these two antibiotics keep doing their thing. I think I am about DONE being sick. Hopefully I just got it all out of the way for a very long time. Buy any of my 12 week programs and you will get 2 MORE weeks FREE!!! 14 weeks for the price of 12. But any of my 20 week Reverse Diet programs and get 4 MORE weeks FREE!!! 24 weeks for the price of 20. Click HERE for details on my programs. 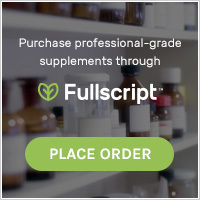 Current clients can pre-purchase these programs to use when their current program is up. At the very top you will see my Week 5 Reverse Diet progress pictures as compared to Week 1 (directly below that set of pictures). My weekly update is coming to you a bit early because my schedule next week may not permit my normal Monday check-in. Weight: 129.4 this morning (130.7 at my week 4 recap / 134.8lb at end of cut). 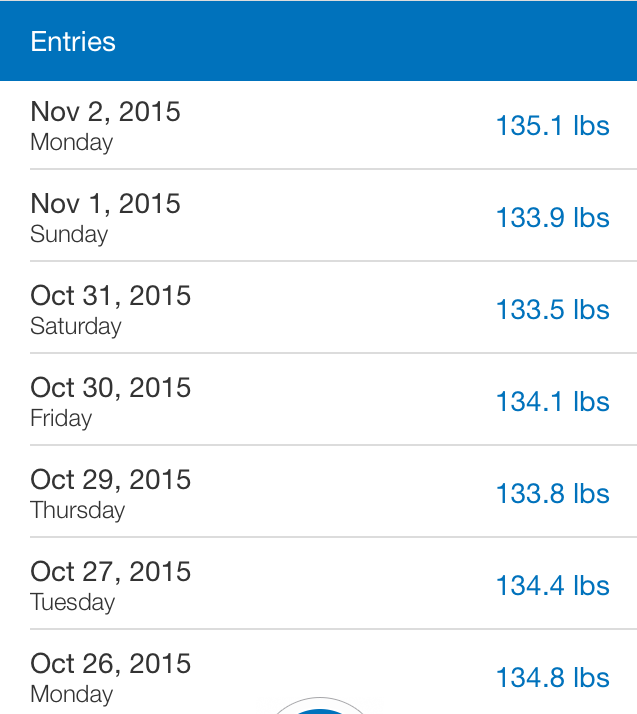 Below is my weight log for the past week and a half. Despite adding calories in on Monday I continued to lose weight each and every day, so I added in MORE calories on Thursday…that’s two increases this past week (Monday and Thursday). Thankfully my increase on Thursday and my refeed yesterday resulted in me not losing any more weight this morning. I definitely do not want to lose any more weight, which is why I keep increasing my calories. If I continue to lose weight this coming week I will do ANOTHER increase on Monday. I may not have access to a scale for the next week, so I will have to go by how I feel and how my clothes are fitting. I have been staying active by doing a lot of cooking and having people in town, but haven’t technically exercised since my walk last weekend. This coming week I MAY do some light weight training depending upon how I feel, but I do plan on doing at least 5 days of some easy cardio. My body has been getting very stiff from the lack of exercise. This was a wonderful holiday week for me. ALL of my immediate family came and stayed at my house (15 of us) and it was so nice to be together. My kiddos and their cousins have so much fun together. Earlier in the week I cooked a Chinese meal for everyone and it was so yummy. When it is just the four of us I usually only cook 1 dish, so it is nice to be able to do a banquet and get a taste of many different dishes when there are a lot of people around. Our Thanksgiving was another great feast with ham, and two different turkeys. One turkey was brined and smoked and the other was brined, cooked sous vide, and then fried (OMG!!!). I am feeling better each day and look forward to another week of healing. I am guessing that a few of you may have noticed the absence of my Reverse Dieting update on Monday. Let’s just say this has been a very interesting week. Let me just pull the band aid off and tell you that I ended-up being admitted to the hospital Last Sunday night with Rhabdomyolysis (aka Rhabdo) and was in there through Wednesday. Rhabdomyolysis is a serious syndrome due to a direct or indirect muscle injury. It results from the death of muscle fibers and release of their contents into the bloodstream. This can lead to complications such as renal (kidney) failure. This occurs when the kidneys cannot remove waste and concentrated urine. In rare cases, rhabdomyolysis can even cause death. However, prompt treatment often brings a good outcome. Extreme muscle strain, especially in someone who is an untrained athlete. This can happen in elite athletes too, however. And it can be more dangerous if there is more muscle mass to break down. In talking to the nurses and doctors they see this most often in Cross-fitters (though from what I have read Crossfit is working hard to educate their trainers about how to avoid this and how to recognize the symptoms), endurance athletes, and football players who go from having the summer off to 2-a-days in the HOT summer sun. It seems that a perfect storm came together and resulted in my getting this condition. At the beginning of the month I had a colonoscopy and (TMI…sorry), the prep didn’t work for me as effectively as it should, so the instructions said to DOUBLE the amount of Miralax I was supposed to take. Even after doing that I still hadn’t had a BM, so I talked to the doctor on call and was told to take 2 more Dulcolax. That finally got things moving, but that meant that all told I ended up taking 575g of Miralax (that’s over a pound of Miralax) and 4 Dulcolax. My colonoscopy was 11/4 (on a Wednesday) and I never quite recovered my stamina after that. I didn’t workout the day of my colonoscopy and gave myself 2 more days afterward away from the gym to recover, but like I said, I was still exhausted. Later I did a search of Miralax and Rhabdo and found some interesting links / studies. I was feeling a bit better by Saturday so I went ahead and STUPIDLY did another arm workout that involved 4 x 15 parallel chin-up negatives (later I will discuss the danger of eccentric exercises if you are not used to doing them). I felt ok until I started doing them and then during it I was in pain, but thought I’d push through because in the past if I would do a workout where I would get sore, the soreness would subside, and when I worked out that body part again a few days later it actually helped. This time this was not the case. The T Rex arms came back with a vengeance and more stiff than ever. By Sunday my arms were starting to feel swollen, I was gaining weight (despite following my macros), and felt VERY bloated. Without thinking much about it I posted a picture of my swelling to Instagram (normally my arms taper in a good amount where my bicep meets my forearm). pritnam_brownhulk meant no harm by his comment and was trying to be motivating, but I really want people to learn from my experience and realize that you are always better off playing it safe. “Better safe than sorry” won’t do harm. As the day went on I was just exhausted and at our last errand I asked if it would be ok for me to stay in the car which is not normal for me at all. At this point where my biceps met my forearms they were so swollen I couldn’t even get my hands half way around them. I also noticed that my brain just wasn’t processing like normal…it was almost as if I was on slow-mo and was a little confused. After reading her comment I started researching the condition (Dr. Google) and it was sounding a little too familiar. I went in to the bathroom and measured my arms in a few different places thinking I just wanted a point of reference. About an hour later I measured again and my arms had gotten 1/2″ bigger. Uh…not good. I turned to my husband and said, “You are probably going to think I am crazy, but when the kids go to bed I am going to go to the ER. It might be nothing, but this doesn’t feel right and we have 11 people coming to stay with us next week and I can’t be sick…if this is something I need to nip it in the bud.” He responded, “You know your body better than anyone” and I know he was thinking it would probably be nothing, but he is always really supportive. I told him to stay home with the kids and started packing a few essentials to bring with me in case I had to stay (meds, phone charger, extra water, apple, protein bars, PJs, etc). When I spoke to the hospital doctor a few hours later we were discussing that fact that I drink a gallon of water a day and I was shocked to hear her say, “That gallon a day habit is THE ONLY reason you showed up here tonight NOT in kidney failure!” Whaaaaaattttttt???? That was so scary to hear. My response was, “Am I done working out? Because if I am, that’s fine…my kids and family mean the world to me and I need to be with them.” She told me that was not going to be the case at all and that I just needed to recover and get my numbers below 10,000 to make sure my kidneys would be in the clear. After that I needed to take it easy and get my numbers back to normal, but the other hospital doctor told me he wanted me to start doing cardio 2 days after I got home and weights about a week later. The told me they wanted me to keep working out because that will keep me healthy. We discussed the fact that I now know what that “different” soreness feels like and I also know that “different” kind of difficult that I felt when doing those darn chin-up negatives. For those of you new to my blog I need to emphasize that I am really fit. I could go run a 10K no problem, I lift weights heavy 6 days a week, I have been active since I was 3 years old, etc. (I’m totally NOT trying to be conceited, just stating a fact). A lot of people think this only happens to newbys who walk into Crossfit and hit it too hard, or people who show up to basic military training and have never been active, or roided-out gym nuts who have something to prove and that just isn’t the case. While in the hospital I was contacted by a ton of people through Instagram who shared their stories with me…the doctor whose teenage son got it from a pull-up contest at school, the lady whose firefighter nephew was doing a Crossfit workout at his station, and on and on and on. It took 2-3 days of IVs to get me below the 10,000s. I think I had 4 saline IVs and then they changed to Lactate Ringers IVs. Let me tell ya…those IVs felt amazing. After a day they tried taking me off the IVs to see if my body could bring my numbers down on its own with me drinking a ton of water and it wasn’t successful, so I went back on the IV for another 8-12 hours. After that we did the off the IV challenge again and my numbers finally got down below 10,000…the magic number that indicated my kidneys were out of the kidney failure danger zone. I went home from the hospital later that day and have been laying low since then. I have to admit that this whole experience scared me. While in the hospital I was wracking my brain trying to figure out how the heck this happened. It seems like that perfect storm occurred that resulted in my Rhabdo…my colonoscopy and the double prep that must have left me less hydrated than my normal state mixed with the new workout and those chin-up negatives and my overall exhaustion. My research on the subject of Rhabdo led me to information about how dangerous those eccentric motions can be when your body isn’t used to them. According to THIS scholarly article (and many others I found), “One of the main causes of rhabdomyolysis is eccentric exercise against high resistance.” Please, please, please ease into these movements. I wished I had known about this because I would have started with 4 x 3 chin-up negatives one week and progressed to 4 x 4 the next week, etc. Had I known the potential danger of eccentric exercises I wouldn’t have pushed it to finish all of the sets. While in the hospital I made sure to keep my nutrition on point. Being sick and injured puts a toll on your body and you NEED that food to help you heal. Despite the fact that I was not training, I kept my calories the SAME and I still lost weight. I made the best choices I could and St. Luke’s menu made it fairly easy for me. I did lower my protein macros by 20g per day in order to ease the burden my kidney’s were experiencing and I raised my carbs by 20g to make-up the difference. I have kept my macros that way for the last week and will be increasing my protein a little tomorrow. Thank you to everyone for your well wishes and prayers. I head back to the doctor on Tuesday to see how my numbers are progressing. At the very top you will see my Week 2 Reverse Diet progress pictures as compared to Week 1 (directly below that set of pictures). Weight: 134.5 this morning (135.1 last week / 134.8lb at end of cut). Below is my weight log for the past week. Last week I took it relatively easy and just did what I felt like in the exercise department. I lifted weights Monday and focused on lighter weight with higher rep ranges. On Tuesday I did 45 minutes of walking on an incline right when I woke-up and then spent the rest of the day prepping for my colonoscopy. Wednesday was a day off and Thursday and Friday I did light weight high rep ranges again. Saturday my little one wasn’t feeling well, so I didn’t go to my regular class and worked out at home with weights. Sunday was a day off. 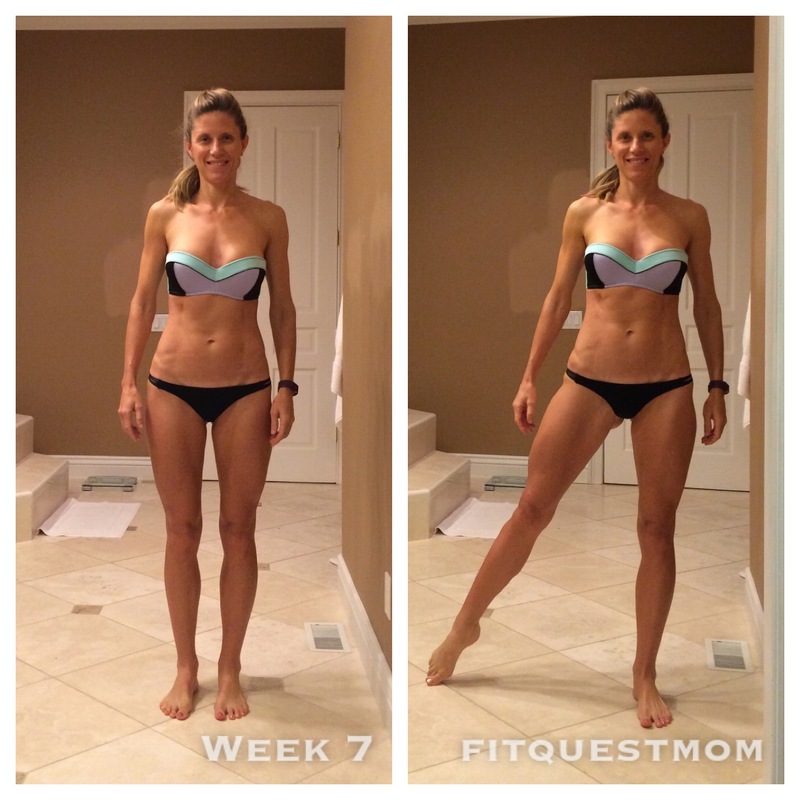 This morning I began Jessie Hilgenberg’s 14 week Muscle Building e-book. I always get excited to begin a new program and this morning’s workout was awesome. 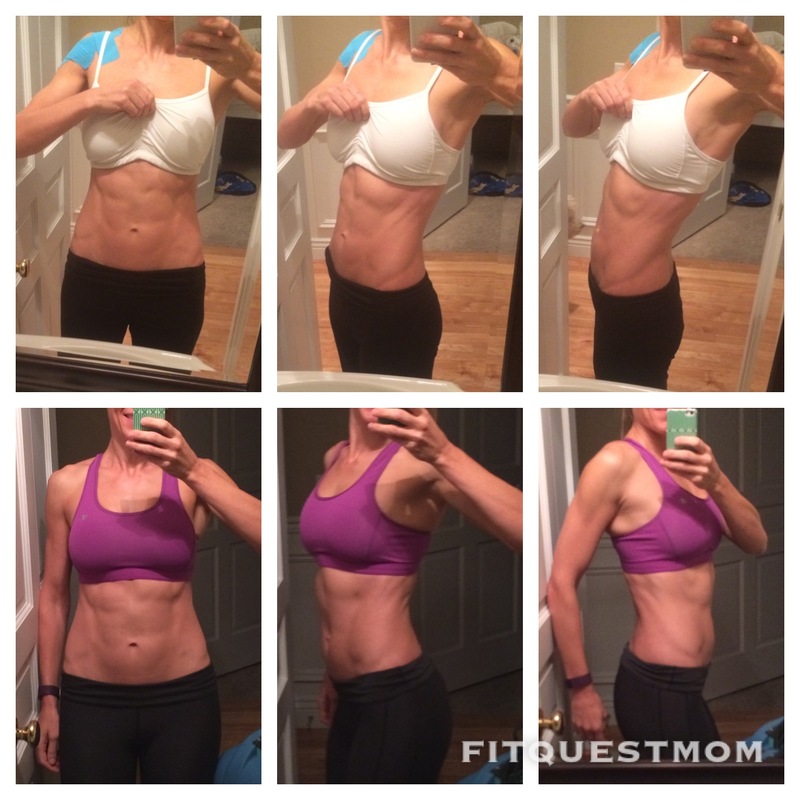 I took before pictures this morning and will share my before and after’s with you in 14 weeks. Monday 11/2 was my actual 40th B-Day, so I allowed myself to indulge in a pint of my favorite ice cream (So Delicious’ Coconut Milk Ice Cream – Chocolate Peanut Butter Swirl), as well as a small chocolate torte from Whole Foods and a few bites of gluten-free cupcake. I would have taken a picture for you guys, but I was all about just enjoying it. My birthday is once a year and treats like this aren’t something I regularly indulge in…I got a pimple as proof of that…awesome…pimple on my cheek at 40! I also had my first colonoscopy on Wednesday, so Tuesday I was stuck only consuming a liquid diet and thus the weight loss you see on Wednesday. I have a family history of some issues and my doctor wanted to start screening me. All looks good and I need to go back in 3 years and then if all looks good then, 5 year increments. It was all definitely worth it for the peace of mind and to establish a baseline. As you can see I maintained my level of conditioning this week, so it is time to increase again. I decided to take a leap and increase a little bit faster. Please know that even though I am a nutrition coach I get nervous about increases too. I am committed to the process and will see how this week goes on the new macros. If for some reason I gain weight, then my plan will be to stick with the same macros next week as well to allow my body to acclimate to them prior to increasing again. Time to increase…I’ll explain in the comments below. I am still doing Ashley Kaltwasser’s (aka AshleyKfit) Glute & Ab Program. At the end of this week I will decide if I will do the same workout one more week or if I will begin my next workout program. 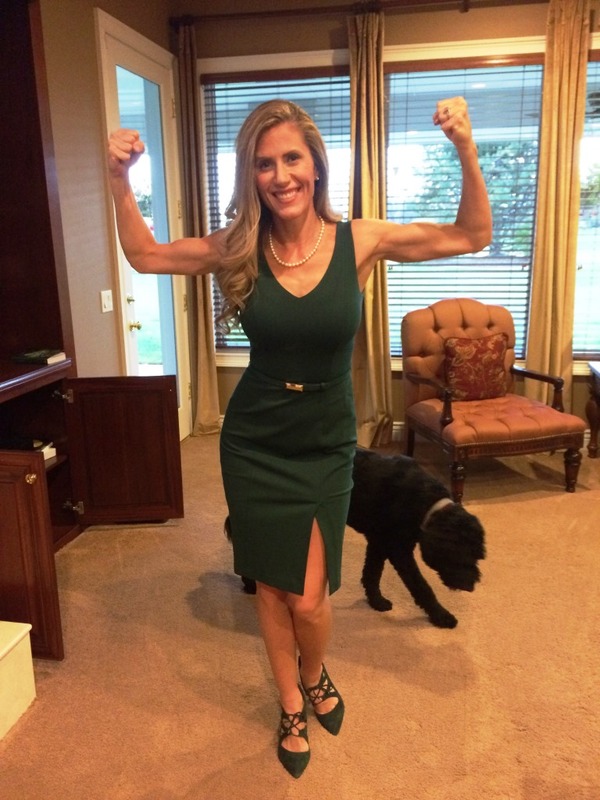 I just purchased Jessie Hilgenberg’s Muscle Building e-book (her e-books are $5 off now through Halloween with code NOTRICKSHERE) and am excited to begin her workouts (LOVE her). People always ask me how you know when to end a cut (if there isn’t a particular date or show you are working toward) and I always tell them that they will just know. I am glad I have reached the point where I do not need to achieve a certain scale weight to know I have reached my goal…I know by how I look when I see myself in the mirror, how my clothes fit, and how I feel in general. Something just told me that it was time to stop. This was a 50 day process for me and as you can see I only dropped 9.0lbs, but I feel my physical transformation was somewhat significant. Last year I completed a cut as well and really like the graphic below because it shows me 1 year apart (top pictures were 10/23/2014 and bottom pictures 10/20/2015) and at the SAME EXACT WEIGHT. My weight in the top pictures was 134.1 and in the bottom I weighed in at 134.2 (crazy how close those weights are). Again, SAME WEIGHT one year apart and I think I look very different. I actually have a little bit of a booty now in the bottom pictures (hard to see due to lighting) which I worked HARD on through my Reverse Diet last year and I don’t look so “flat.” My core is a different shape for sure. These changes happened slowly, but when you are consistent with your training and your nutrition the changes do happen. Notice I said consistent, not PERFECT all the time. I had mess-ups and vacations mixed in there. 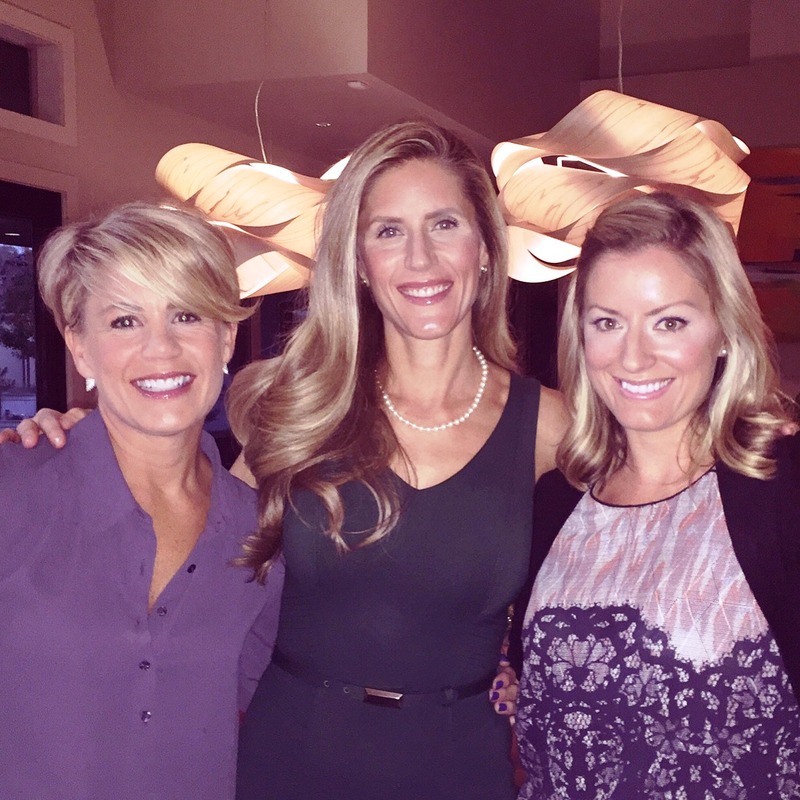 I am excited to begin my 2015 Reverse Diet and hope it is the last one I do. Last year 13-14 weeks into my Reverse Diet I decided to not track very closely and allowed myself to eat as much as I wanted to. I didn’t go crazy, but made the conscious decision to eat more than planned and allowed that to push me into a more significant caloric surplus which I consciously used in the gym to fuel HARD workouts in order to try and build more muscle; specifically my booty which was so flat once I completed my cut last year. This year I want to approach my Reverse Diet differently and maintain my leanness while working to slowly continue to tweak my shape. I know my body well enough to know that when I Reverse Diet I continue to lean-out (because I increase my calories S-L-O-W-L-Y). If I were to increase my calories at a more rapid rate this go-around I would put on some body fat like I did last year, however my goal with this Reverse Diet is to maintain the body composition I currently have while increasing my metabolic capacity. If I lose weight during this Reverse (I did at the beginning of my last Reverse), I will simply make my next caloric increase more rapid. If I start to put on weight I will hang out at my current calories until my body stabilizes. I plan on documenting the next 20 weeks of my Reverse Diet for you so you can follow along on the process and see what Reverse Dieting is all about. I have to admit that Reverse Dieting is fun for those of us eaters out there, but I also feel that it is important to let you know that it is NOT EASY. Many people would go so far as to say that Reverse Dieting can be much harder than dieting because your metabolism begins to rev-up and you actually get MORE hungry oftentimes than you were when you were dieting to lose fat. When I Reverse Dieted before and my metabolism increased it was normal for me to sweat at night and get REALLY hungry by the end of the week right before it was time for my next increase. I find that when you know to expect this it is easier to deal with. The last time I Reverse Dieted I was not carb-cycling, so I expect that my Friday Refeeds this go around will help me get through that end of the week increase in hunger. I am excited to begin this next phase of my fitness journey and even more excited to bring you along with me. Time to change to a new swimsuit for my Reverse Dieting progress pictures …I am guessing you guys are getting a little sick of the last one…imagine how you will feel after 20 weeks of the next one! 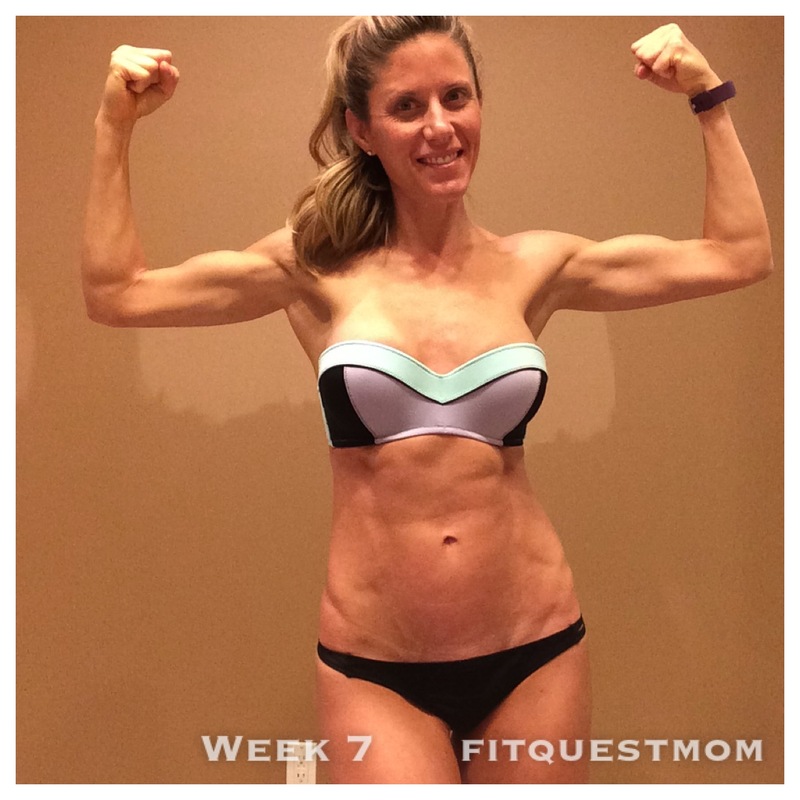 Feel free to ask me questions along the way either on the blog or through Instagram (where I am the most active as fitquestmom). I am keeping them the same macros as last week. I am still doing Ashley Kaltwasser’s (aka AshleyKfit) Glute & Ab Program. Each week I work on either upping the sets, reps, or weights. I make it a point to always challenge myself…I try to never have an easy workout. I also stepped out of my comfort zone (yes, I get shy) and went to a local gym for a hiit type class called Conditioning with Kandace, who is the VP of Marketing for Bodybuilding.com. She was out of town for her boyfriend’s power-lifting meet (he won! ), so I will get to meet her and take the class from her next week. In Kandace’s absence the class was run by three Bodybuilding.com ladies who did a great job. 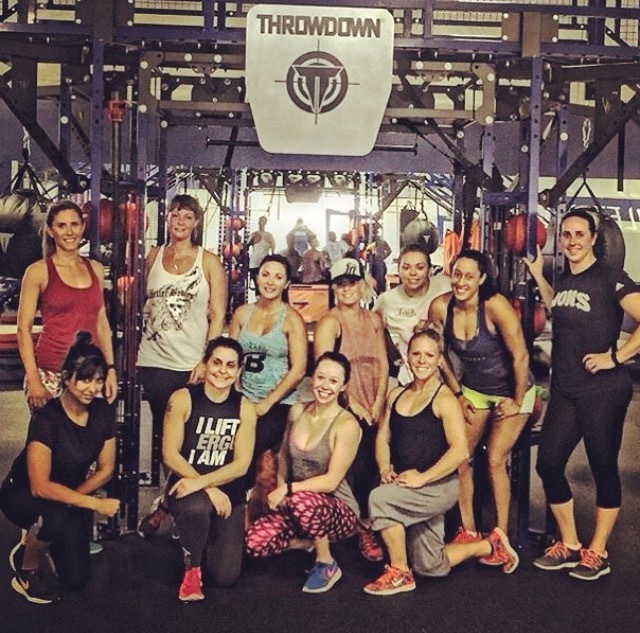 I had a lot of fun meeting other fit-minded people and it made me push myself to the point where my calves are still on FIRE ( the class was on Saturday morning). I love working out at home, but also plan on incorporating some more group classes into my routine for a nice change of pace and added challenge. Overall it was a good week. I felt pretty “skinny” a lot of the week (I actually got down to 134 on Wednesday) and considered ending my cut early. I ultimately decided to give it at least one more week and re-evaluate where I stand next weekend. There is a chance my 8 Weeks to 40 cut becomes a 7 week cut. If I decide I am happy with where I am at the end of this week then I will head straight into my Reverse Diet (which I will also document). Below is an ab progress pic from this morning upon waking. I don’t know that I expect a lot of weight loss this week, but I do expect that my body will become a lot more lean. Feel free to contact me with any questions about the cutting/leaning-out/dieting process or nutrition in general. I am keeping them the same macros as last week since they are still working for me. 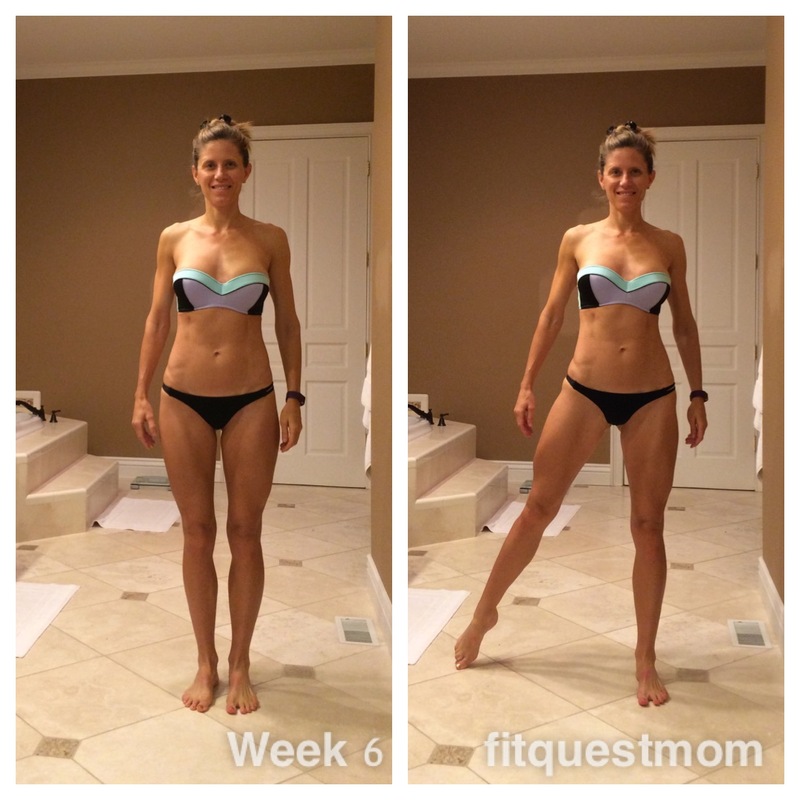 Last week I began Ashley Kaltwasser’s (aka AshleyKfit) Glute & Ab Program. It was a good week for me. I feel like I am in the groove now and there aren’t as many hunger issues. 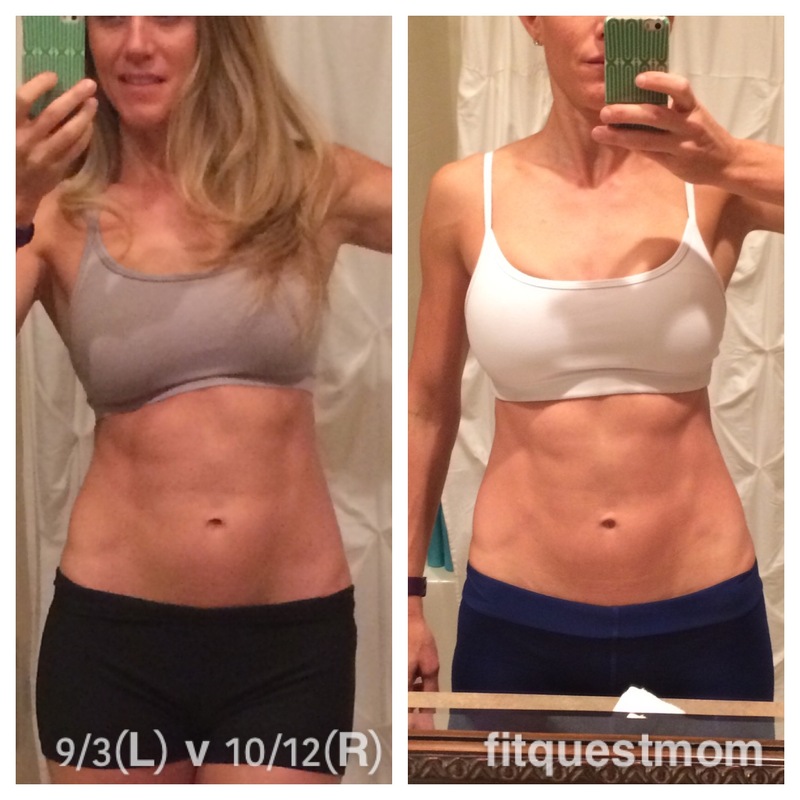 One thing that may have helped was my switching to a new workout program. I think I have been over-training for the last few months and my body may have needed a little rest. I decided to purchase Ashley Kaltwasser’s Glute & Ab Program and I have been really happy with the workouts. In no way is this a plug for the program because I have absolutely nothing to do with it…I purchased it, they did not send me it. 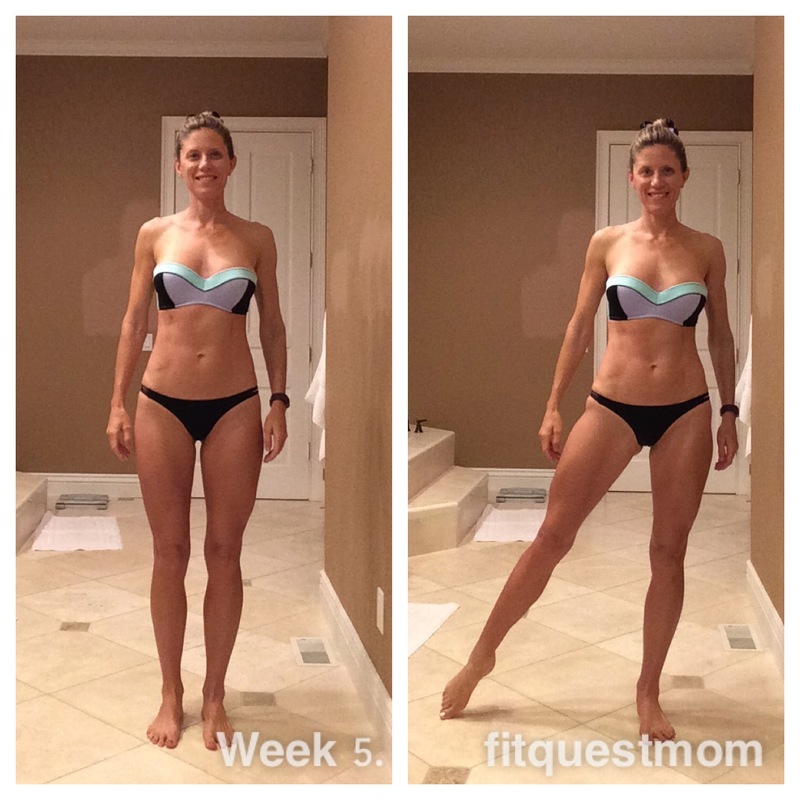 When I first downloaded the program I was concerned that it would not be hard enough because there were less exercises than I am used to doing, but like I said, I have been pleasantly surprised. Work smarter, not harder right?!?!?! That being said, there were MORE ab exercises than I have been doing and man was I sore last week. There is a reason why her abs are so flipping amazing! I feel like my abs have leaned out quite a bit in the last week. This point in a cut is always fun because it seems like you see more results daily. My hammies were also really sore and that is an are of my legs that is notoriously difficult for me to build (yay…sore there is good news)! I am entering week 6 now which means I have just under 3 weeks left until my 40th b-day and I am more motivated than ever. Posting these updates has been a big help in keeping me accountable.